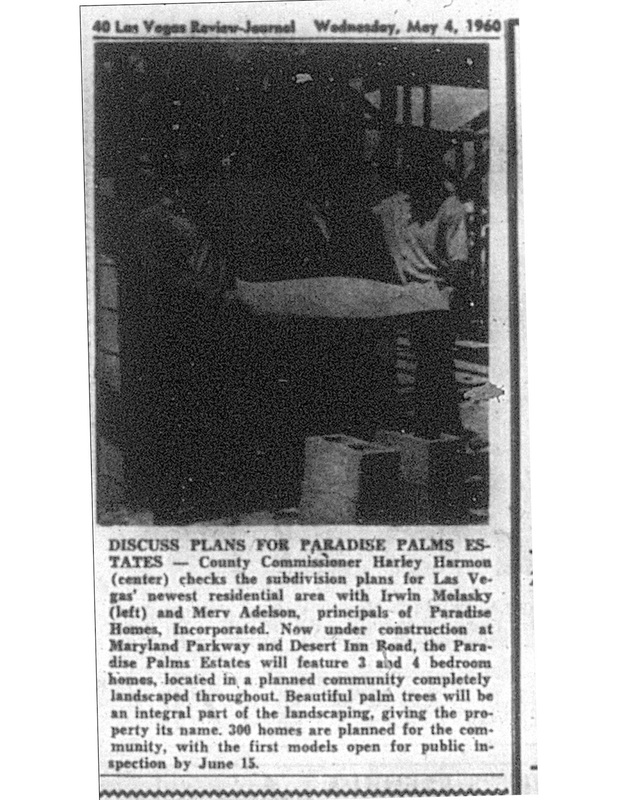 Recent research at the Nevada State Museum has rediscovered the beginnings of Paradise Palms. 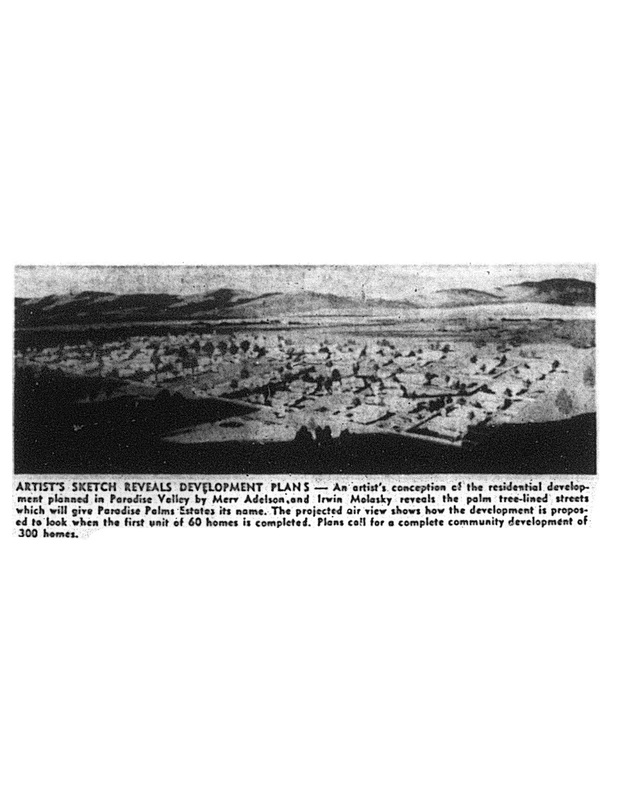 An article from the March 21, 1960 Las Vegas Review Journal describes Paradise Palms as an $8 Million development with desert contemporary homes. 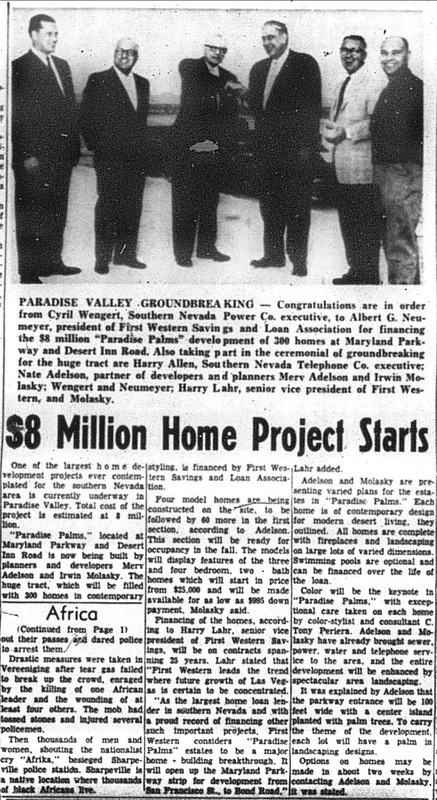 Paradise Palms was to be a major home building break through, opening up the Maryland strip for development, from San Francisco Street to Bond Road. 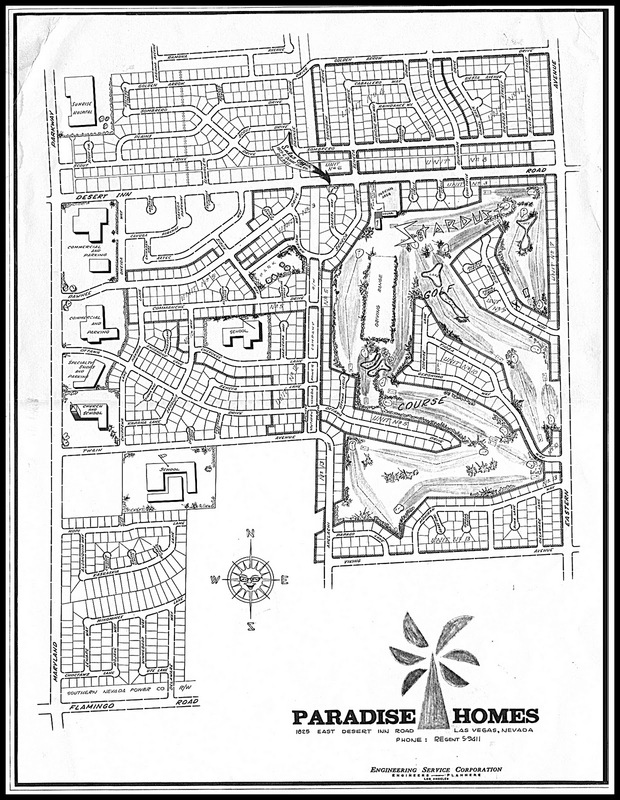 Color was intended to be an integral part of the development, with exceptional care taken on each home, and the entire development was to be enhanced by spectacular landscaping. The article also eludes to a 100-foot wide parkway entrance with center median, which most likely is now known as Cayuga Parkway in Unit 1. 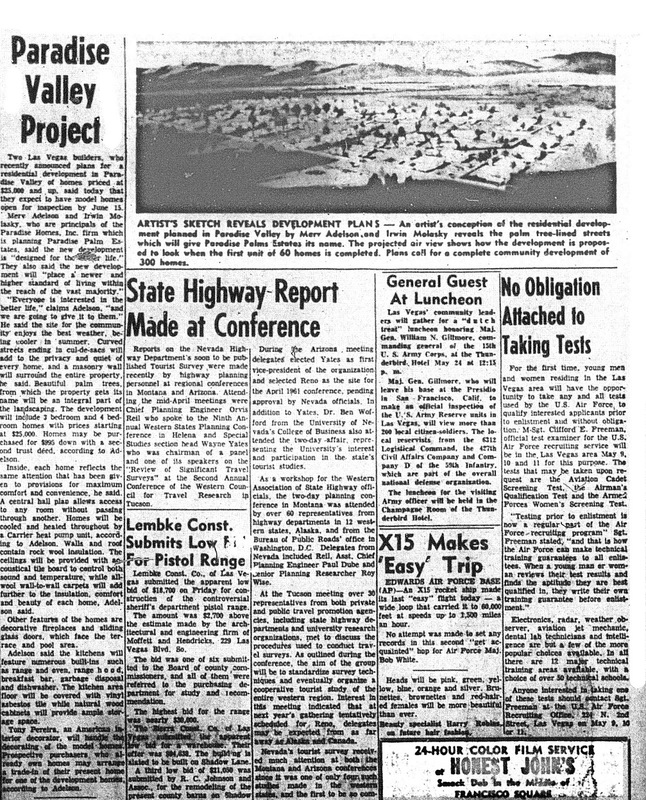 A photograph from May 4, 1960 shows County Commissioner Harley Harmon, Merv Adelson and Irwin Molasky examining construction progress, while an artists rendering of Unit 1 and accompanying article are from May 8, 1960, describing the features of the homes, which includes central hallways on each home, rock wool insulation, ceilings with acoustical tile boards and wall-to-wall carpets which added to the beauty and comfort of each home.